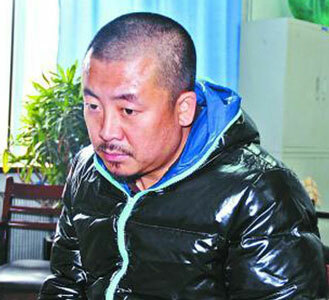 Home » TV » Chinese Fugitive Hid… By Becoming a Television Actor? Chinese Fugitive Hid… By Becoming a Television Actor? As Edgar Allan Poe showed in The Purloined Letter, one of the best places to hide something is by putting it in plain sight — in other words, make it seem like there is nothing suspicious about what you want hidden by leaving it out in the open. It seems this even works for a person, too — as Sky News reports, Chinese television actor Zhang Guofeng spent his thirteen years as a fugitive acting on a popular television shows! Over a dozen years ago Zhang Guofeng was named Ji Siguang and was accused of assaulting a police officer and stealing his gun with three other men. At some point though he began his acting career, with a key role on the 2009 television series Lurk among his credits. Zhang/Ji identity was recently finally discovered by Chinese authorities and he was arrested on the set of Shaolin Tigers, in which he appears as a Buddhist monk. After his arrest he admitted his involvement in the 1998 assault.